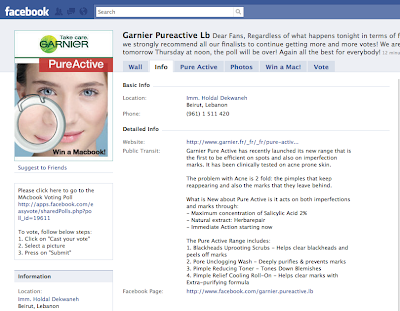 Description: Using a Facebook Fan page, Garnier chooses themes for people to upload pictures, and thus, become candidates. 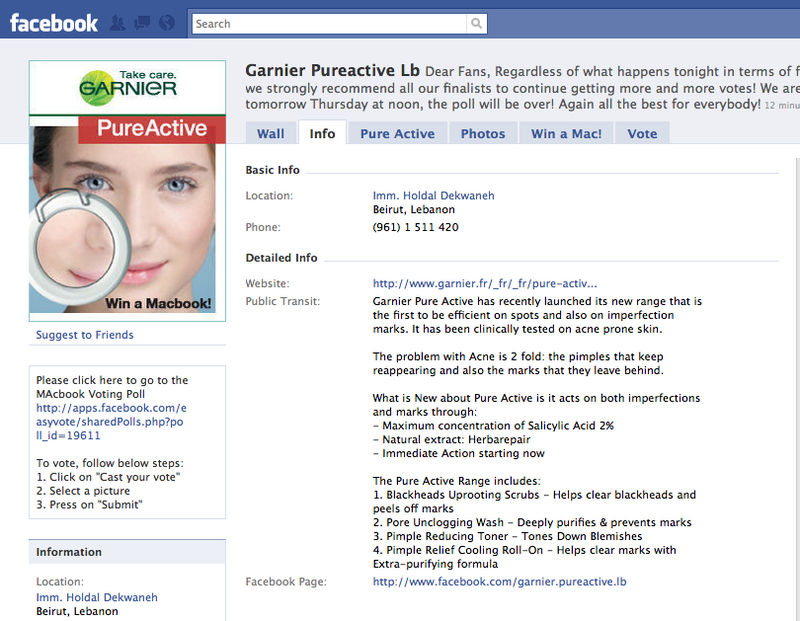 Voting takes place on Garnier's Facebook Application. The candidate with the highest number of votes wins. The beauty of it all is the high interaction taking place between the moderator of the group and the fans.